Developed by Digitalfrog, Crystal War Blood Field is an RPG slash RTS that meets all the expectations of both genres that a mobile gamer could have. Crystal War Blood Field can be played on the multiplayer network against human opponents, or solo against an NPC. 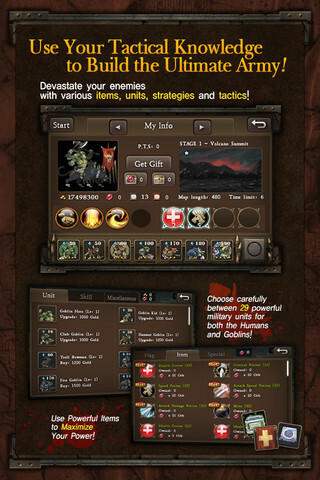 The solo campaign features a number of unique and challenging stages, the objective of each being the destruction of the enemy commander before the timer runs out. 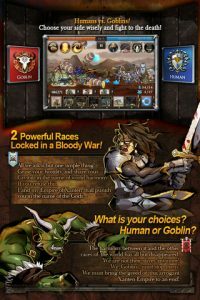 Players can choose from the human or goblin race, each featuring their own unique close quarters, ranged and artillery units. 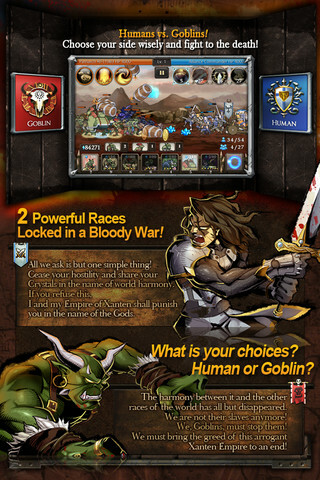 The human army features 16 different units, the goblin army 13. You begin the game with just a few basic unit types, such as the swordsman and spearman, but completing stages earns gold coins which can be spent in the Shop to upgrade existing units or to purchase new units or special abilities, called Skills. One of the basic unit types is the Miner, which is sent out to mine crystal during every battle. 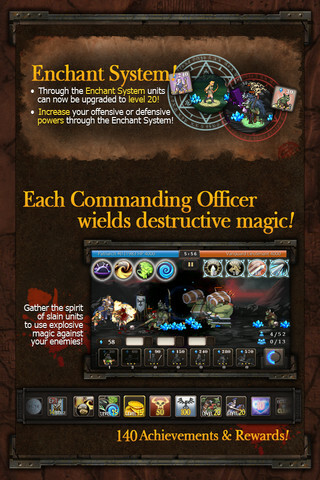 Crystal is the in-game currency, and is used to produce units on the battlefield. The more miners you have, the faster you can produce the more expensive unit types. Getting the balance right between your army and economy is the key to success in Crystal War Blood Field. Choosing the correct unit types for the battle at hand is also vitally important. Some bosses call for a ranged attack, others shock troops, so you’ve got to check your line-up before the game begins and make use of your unit slots to swap in or out accordingly. During the battle, you can use your chosen Skill to access a special ability – such as a flight or arrows, a blizzard or an enchantment which may give you the edge against your opponent. Your Skill recharges during the fight, so it needs to be used sparingly. An additional power-up is available which charges during battle and is available once the blue circle is complete. You can tap on it to activate, which initiates a test of your reflexes – you are presented with 3-4 unit types in a particular order and have to tap on those units, in that order, in just a few seconds. It’s not easy to do, but if you get it right you’ll be rewarded with some extra soldiers. 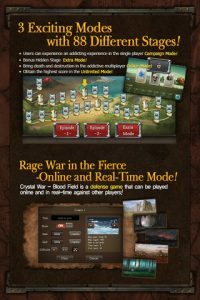 Bottom line: Crystal War Blood Field features seriously fun gameplay, with strong RPG elements and a challenging campaign that come together to provide an incredibly addictive and enjoyable experience. 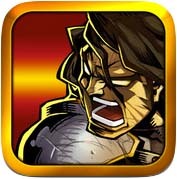 Crystal War Blood Field is compatible with iPhone, iPod touch, and iPad.Requires iOS 3.0 or later. A small expedite fee was paid by the developer to speed up the publication of this review.